Goodreads: Escape to Stony Point, cuff your jeans and walk along the water's edge in this nostalgic story bringing old friends, and their lives, back to the sea. After years of pursuing a denim design career, Maris Carrington never imagined trading her Chicago studio for a New England shingled cottage. But a forgotten home movie tucked inside a dusty attic box leads to an unexpected summer ... One of uncovering family secrets while settling her father's estate, one of inheriting a forlorn German Shepherd, one of reconnecting with old friends on a weathered boardwalk, beneath starlit skies on a beach nestled in a crook of the Connecticut coast. Kritters Thoughts: A group of friends have spent each summer vacationing in the idyllic coast of Connecticut, but now they are grown adults with big decisions and issues looming over each of their heads in one or another. The story mostly centers around Maris who is back in town to clean up her father's home and pack away her past, but it isn't so easy to pack it all up and go back to the life she was going to lead. The twist that occurs didn't come out of nowhere, but wasn't too predictable that my guess ruined the book. I just enjoyed getting the confirmation of my suspicions. I became invested in the characters and as I saw it come to a conclusion, I was ready for another book to begin to take them to the next moment. My one problem was at the beginning I had a hard time when the story went into the past and realizing that we were in a flashback moment. I wish there had been more of a defined break, so that I knew we were going back in time. It was hard to keep up with going back in time and getting all the characters straight at the same time, once I had it all settle, the book sailed along. With quite a large cast of characters, I definitely had to make notes on my bookmark to make sure I kept everyone squared away, but once you learn how they are all connected, this book starts flying through their past and present. 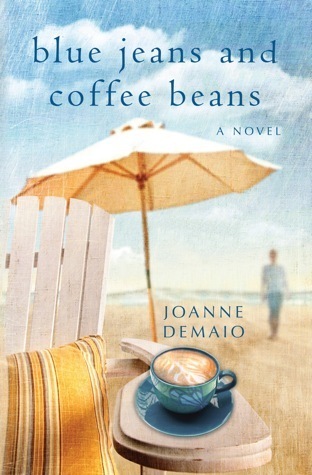 My second Joanne DeMaio book and I am now truly a fan. Her characters feel real and the story wove through each of their situations with ease, so that each character had a moment to shine.